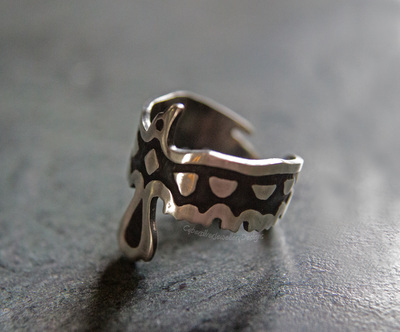 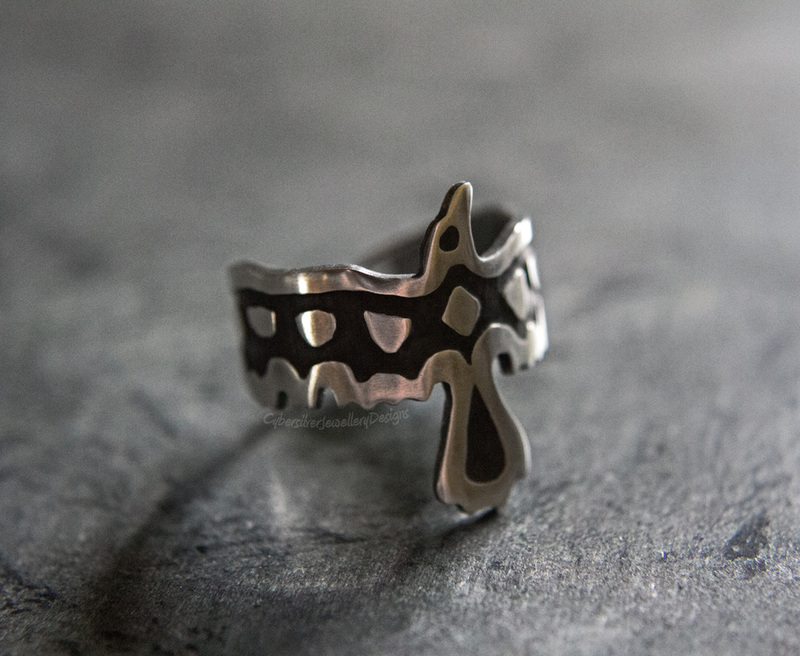 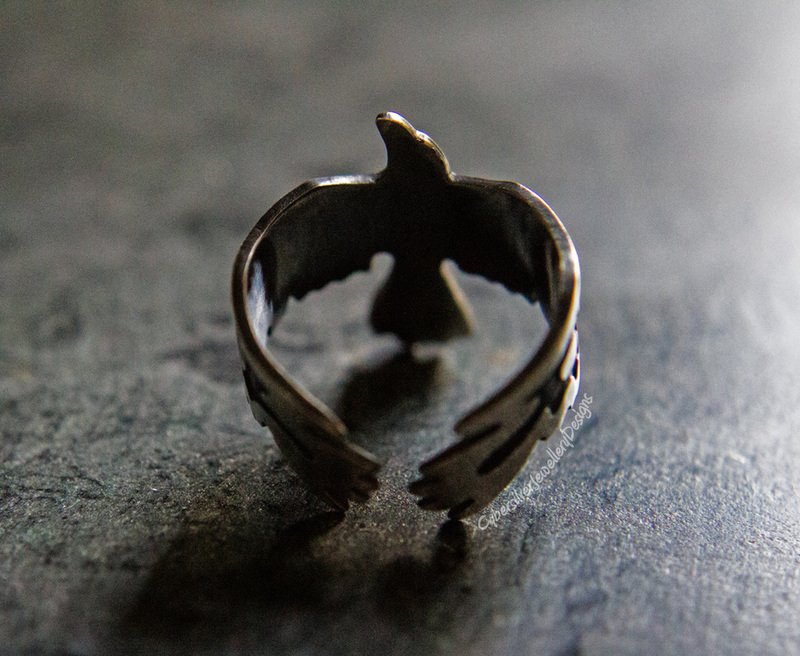 I have meticulously hand cut this solid silver raven from thick sterling silver and formed him to create an amazing, unique ring. 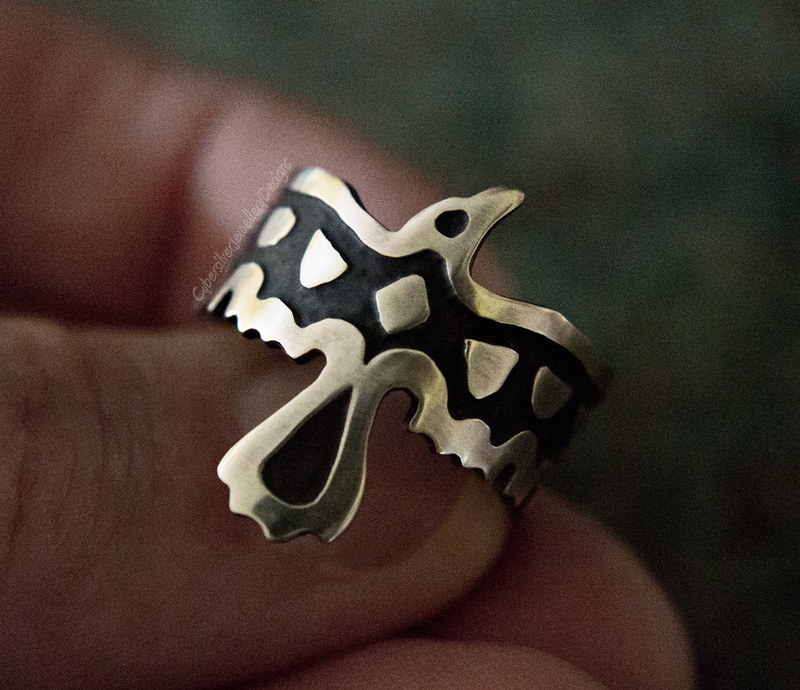 He is decorated entirely by hand using traditional silversmithing techniques. There is no casting or mass production involved in his creation. 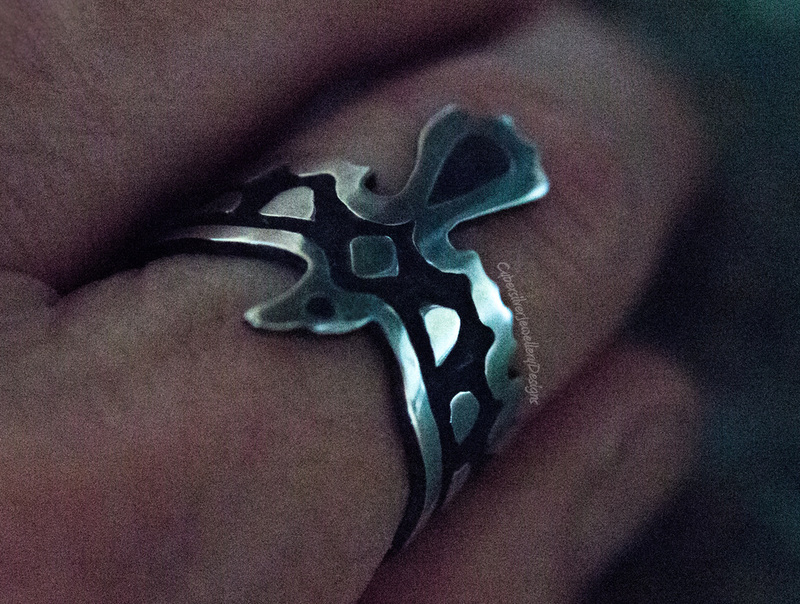 I have oxidised and highlighted the silver to emphasise the patternation, and then sealed it with a microcrystalline wax to help protect the oxidised surface. Oxidisation is a surface treatment that can lighten with wear.